Abortion remains the most contested political issue in American life. Poll results have remained surprisingly constant over the years, with roughly equal numbers supporting and opposing it. A common perception is that abortion is contrary to Christian teaching and values. While some have challenged that perception, few have attempted a comprehensive critique and constructive counterargument on Christian ethical and theological grounds. Margaret Kamitsuka begins with a careful examination of the churchs biblical and historical record, refuting the assumption that Christianity has always condemned abortion or that it considered personhood as beginning at the moment of conception. She then offers carefully crafted ethical arguments about the pregnant womans authority to make reproductive decisions and builds a theological rationale for seeing abortion as something other than a sin. Margaret Kamitsukais Professor of Religion at Oberlin College and an affiliate faculty member in the Gender, Sexuality, and Feminist Studies program, of which she was the Director from 2012 to 2014. She currently serves as editor for the Academy Series of the American Academy of Religion, which works with Oxford University Press to publish newly defended dissertations. 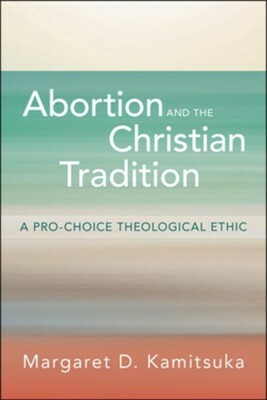 I'm the author/artist and I want to review Abortion and the Christian Tradition: A Pro-Choice Theological Ethic.